This is Epi102 of Succotash, the Comedy Podcast Podcast. Also known as the first episode of Succotash Chats. Chats. No clips. Well, not clips per se. We do have a couple of our Burst O’ Durst segments with comedian/commentator Will Durst. And an ad for Henderson’s Space Pants. And the Tweetsack. But NO comedy podcast clips. If you're sniffin' around for clips, please be sure to check out our previous Epi101, which was our first Succotash Clips show. All clips. No chats. And the NEXT episode, #103, will be all clips again. I also invite you to check out our past episodes via our homepage, at http://SuccotashShow.com. We’ve had some great interviews in our past 100 episodes. And while you’re there, feel free to click on our Donate button, shop at our Succotashery, or use the Amazon banner at the top of the page to do your shopping on Amazon.com and they’ll throw us a few bones! 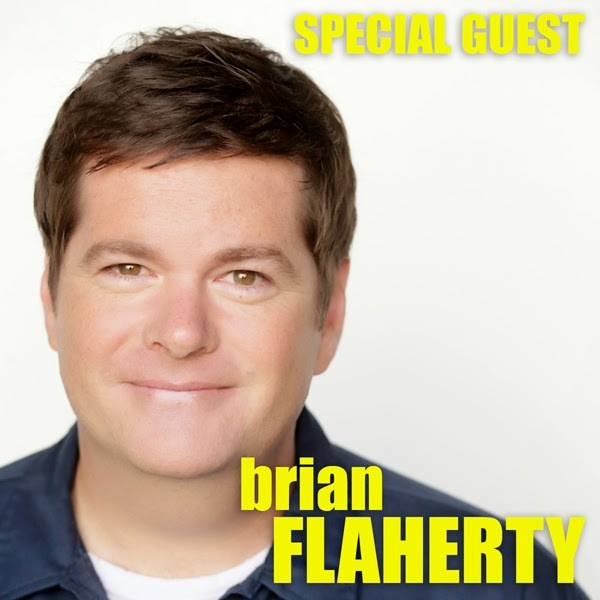 In the chat circle this week, our special guest is Brian Flaherty, the host of the New Hollywood podcast. I’ve been enjoying his podcast which focuses – mostly – on people connected to movies in the 1970’s, although he’s begun to push out from those parameters a little bit. A couple of episodes ago he had filmmaker Adam McKay as his guest and did a special “pre” episode with McKay playing a character named Alan Marlowe, a 70’s sleazy movie producer. Brian and I talk about how that came about, how he got into podcasting and what he does around Hollywood as a part-time actor when he’s not part-time acting. That’s it for our very first Succotash Chats episode. Next time we’ll be back with Succotash Clips, along with a new Boozin’ With Bill segment, a Burst O’ Durst, and who knows what else. I’ve got a favor to ask, and it won’t cost you a cent. Just jump up on iTunes and search for Succotash – this podcast – and give us a nice rating and a quick review. It will help increase our visibility, you’ll be immortalized on the review page, plus I’ll be your bestest friend. Alright, chum, thanks for listening and be sure to pass the Succotash! Welcome, welcome, welcome – to Succotash Clips, Epi101, the first episode of Season 2! As previously announced, my plan for Season 2 is to split our usual Succotash offerings – Clips and Chats – into separate shows. And that’s what you have here in the first show of Season 2. Succotash Clips. My goal is to have these shows come in at about or under an hour. And they should be a little easier to produce as well. Our Associate Producer, Tyson Saner, grabbed up a bunch of comedy podcasts clips. I’ve pulled a few. 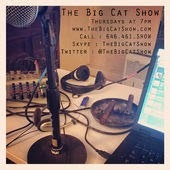 And so let me give you the rundown of the podcasts we’re sampling this time out: 80’s Reboot Overdrive, Comedy On Vinyl, Getting On, Hello Internet, The Kundalini Files, That Would Be Me and The Big Cat Show. In addition, we’ve got not one but TWO of our Burst O’ Durst segments this show, a classic Henderson’s Pants commercial, and the Tweetsack. Now that the holiday break is over, I’m back posting podcast reviews. This past week, for This Week In Comedy Podcasts on Splitsider.com and Huffington Post Entertainment, I took a listen to a couple of very funny episodes of The New Hollywood Podcast with Brian Flaherty. On Monday he had a short 15 minute installment with schlocky 70’s film producer Alan Marlowe, followed on Wednesday featuring an interview with Alan McKay, Will Ferrell’s comedic partner in crime. Oh, and if you didn’t get a chance to catch the Casa Mirth Christmas Spectacular, you should, if only to hear my stirring introduction. Maybe it's because I just started a new job at the beginning of the year, but I found the video sketch The Job Interview, by our friend John Dredge (host of The John Dredge Nothing To Do With Anything Show podcast) to be pretty clever. If you’re a podcast aficionado, chances are that you’ve heard James Urbaniak appearing as a guest on any number of shows out there, including The Thrilling Adventure Hour and Comedy Bang Bang. He’s a very talented vocal artist as well as and actor and a comedian. And he’s had his own podcast for a while. He doesn’t release them regularly – in fact, since 2012, there seem to only be about 21 episodes out there. Each one features him “navigating the darkly comedic recesses of his troubled yet charming mind,” according to his homesite. Our Associate Producer Tyson Saner stumbled headfirst into something called the Southgate Media Group. It’s a network of podcasts that got going about a year and a half ago, the brainchild of Rob and Martha Southgate. Almost every show on their lineup – and I counted 24 of them – is dedicated to a TV show. 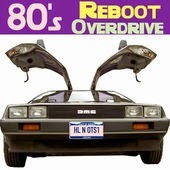 There’s also a show about video games and one potpourri crazy roundup of a show called 80’s Reboot Overdrive. That’s where this clip comes from, and it features host Dave talking to Southgate Media’s heads Rob and Martha Southgate, along with their 7-year-old daughter Molly, who co-hosts THREE of the podcasts with her parents. We haven’t heard from our old pal Lyonheart for a really long time. He had an internet radio show a couple of years ago, then he shut it down and headed out West for a bit, landing in San Jose to take care of some family stuff. But the West Coast didn’t suit him and he went back East once again, to New York this time with his buddy Matt. 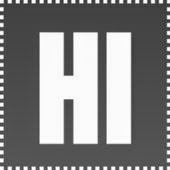 Tyson tossed us a clip this week from Hello Internet, a show I’m not familiar with. It features hosts CGP Grey and Brady Haran. I’m not sure what’s up with the three initials – the CGP Grey thing – but according to their homesite, the two guys kick around YouTube, life, work, and whatever. Grey’s got several videos on YuTube under the title “Grey Explains” and there’s one on the Lord of The Rings, robots, and other interesting subjects. Friends-of-Succotash Davian Dent and Jason McNamara (also known as Jabs from The Dhead Factor podcast), had done a 6-part detective spoof podcast called The Kundalini Files a couple of years ago. Davian has re-cut and re-mastered those shows and put them altogether into something he calls a feature-length show he calls The Kundalini Files Redux. I’m going to assume that, if you’re a listener to Succotash, the Comedy Podcast Podcast, that you’re a fan of both comedy and podcasts. That combo probably can’t get much better than on a show called Comedy On Vinyl. Normally the comedy nerds on the show, headed up by host Jason Klamm, talk about the greatest comedy vinyl albums of all time. Our associate producer Tyson Saner found an intriguing break from that format with their epi119, featuring guest Jimmy Pardo, host of the Never Not Funny podcast, who brought the chat around to the effect that Richard Lewis’ 1985 TV special “I’m In Pain” had on him. Author Geoff Hoff does a lot of self-help books on writing and other topics, including an e-course on how to start your own podcast. He recently started doing a humor podcast himself, called That Would Be Me. Refreshingly, these are pretty short installments, and the subjects are presented in an observational style, which is a nice break from the glut of pop culture casts that seem to be propagating faster than ever. That's the lineup and the skinny for the first show of Succotash, Season 2. Drop me a line at marc@SuccotashShow.com and let me know what you thought of our first Succotash Clips show. Next we’ll have a Succotash Chats edition, so you can compare the two flavors of Succotash. One way you can help us out as we move into Season 2 is to get up to iTunes so you can rate and review us. You’d be amazed what a couple of sentences and 5 stars can do for our rankings. Neither of which costs you a dime. To help us out in a more material way, there’s the Donate button up at http://SuccotashShow.com and we also have t-shirts, mugs and other merch with our brand new Succotash logo up now at the Succotashery. Thanks for listening and be sure to pass the Succotash!